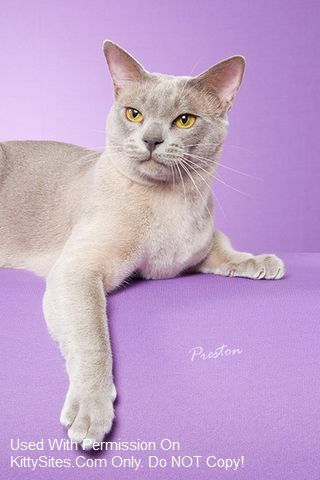 If you want a cat that is interactive with the whole family and with anyone who comes in the house, then the European Burmese is a good choice. I rear & socialize them underfoot to be Playful and Extremely Affectionate! They are easy going and easy to care for. They come in 10 Different Colors. Pets are all Spay/Neutered, Microchipped, Vaccinated & come with a Health Garantee. Licensed Cattery & Breeder since 2000. CFA, ACFA, TICA registered with Grand Champion/Champion lines. European Burmese Rescue/Rehome Coordinator USA.